NEW YORK - The death of Eric Garner, a man who died after being put in an apparent chokehold by a New York City police officer during an arrest, has been ruled a homicide. Garner's death was caused by compression of neck and chest, and his prone positioning during physical restraint by police, the New York City Medical Examiner's office announced Friday. Asthma, heart disease and obesity were listed as contributing factors. 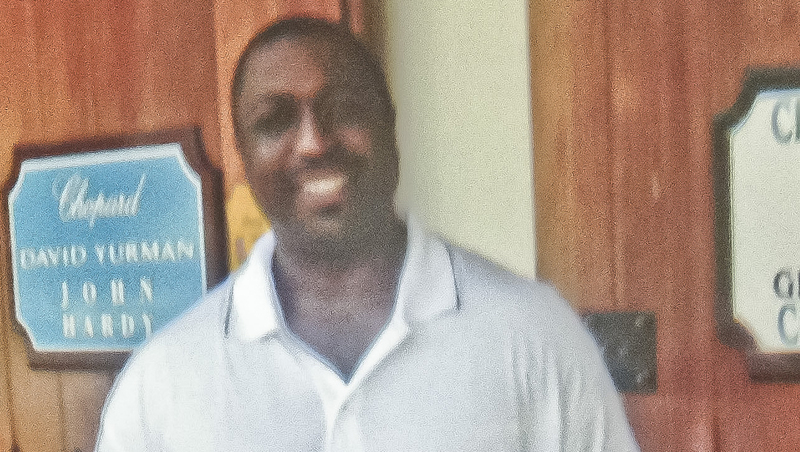 Garner, 43, died July 17 during an arrest in Staten Island. Video of the arrest shot by a bystander shows one officer wrap his arm around Garner's neck as he is taken to the ground - arrested for allegedly selling untaxed, loose cigarettes - while Garner shouts, "I can't breathe." Ramsey Orta, who shot the video of Garner's encounter with police, said Garner had broken up a fight shortly before police arrived and denies the accusations that he was selling untaxed cigarettes. Following the incident, two NYPD officers - including Officer Daniel Pantaleo, the one who allegedly put his arm around Garner's neck - were placed on desk duty and four emergency workers involved in the medical response for Garner were suspended without pay pending an investigation. Authorities had said that Garner, a black man who is a father of six, likely had a heart attack. A criminal investigation into Garner's death has already been launched by the Staten Island District Attorney's Office, along with an internal police investigation by the Internal Affairs Bureau. New York City Police Commissioner Bill Bratton previously said the FBI and the U.S. Attorney's Office will also likely launch federal investigations into the matter. New York City Mayor Bill de Blasio has said a full investigation into the incident is needed. On Friday, following news of the medical examiner's ruling, de Blasio issued a statement saying, "On behalf of all New Yorkers, I extend my deepest sympathies to the family of Eric Garner." The Department of Justice said Friday that it is continuing the monitor the city's investigation of the incident andwill only have jurisdiction if charges are filed and it is ruled a hate crime. Commissioner Bratton has vowed to retrain its officers on the use of force in the wake of Garner's death. Chokeholds are banned under New York Police Department policy, but the tactic has been the subject of more than 1,000 complaints to the city's Civilian Complaint Review Board over the last five years, CBS New York reported. The technique is not illegal under state law. The Rev. Al Sharpton has likened Garner's death to notorious police brutality cases such as the 1991 beating of Rodney King in Los Angeles. He said the video of the arrest shows that police and paramedics were indifferent to Garner's suffering. Office Pantaleo, who used the apparent chokehold on Garner, has been sued by three men in federal court over allegedly unlawful, racially motive arrests within the past two years, court records show. Following Garner's death, the NYPD said it stripped Pantaleo, an eight-year veteran of the force, of his gun and badge.